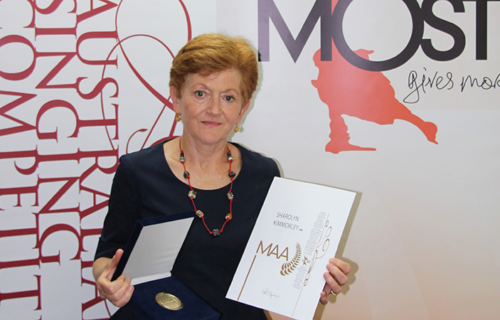 This award acknowledges the contributions of established industry professionals and aims to recognise members of the classical music fraternity who have made a significant contribution to Australian culture. Nominated by a panel of industry peers, the inaugural MAA was awarded to Richard Bonynge AC CBE. The presentation was made by Jeffrey Black at the Finals of the 2016 Australian Singing Competition. 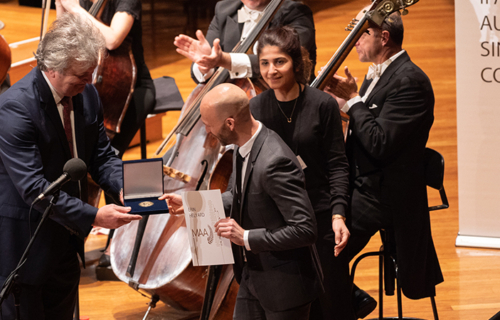 MOST was also delighted to award a MAA to Erin Helyard at the 2018 ASC Finals in recognition of his exceptional contribution to the Arts in Australia as a conductor, performer, and artistic director. 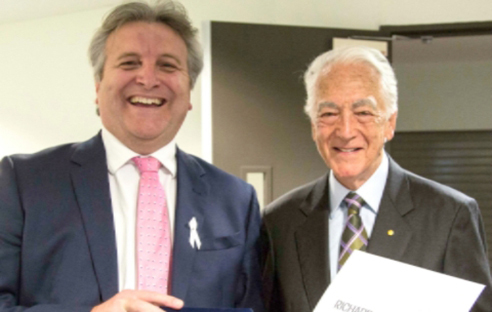 Awarded to Richard Gill AO in recognition of his exceptional contribution to the Arts in Australia as both a conductor and as a music educator. 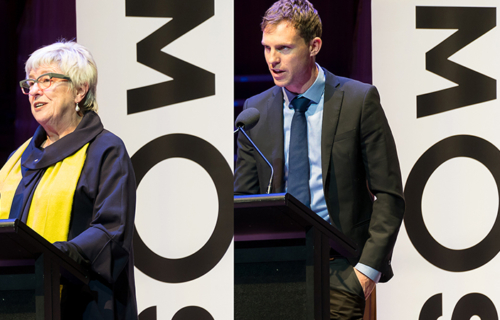 Richard’s MAA was presented by Mary Vallentine, a member of the Young Performers Awards Music Advisory Committee at the 2018 ABC Young Performers Awards Finals Concert at the Sydney Opera House on Tuesday 24 July. The MAA was accepted on Richard’s behalf by his son, Anthony Gill.